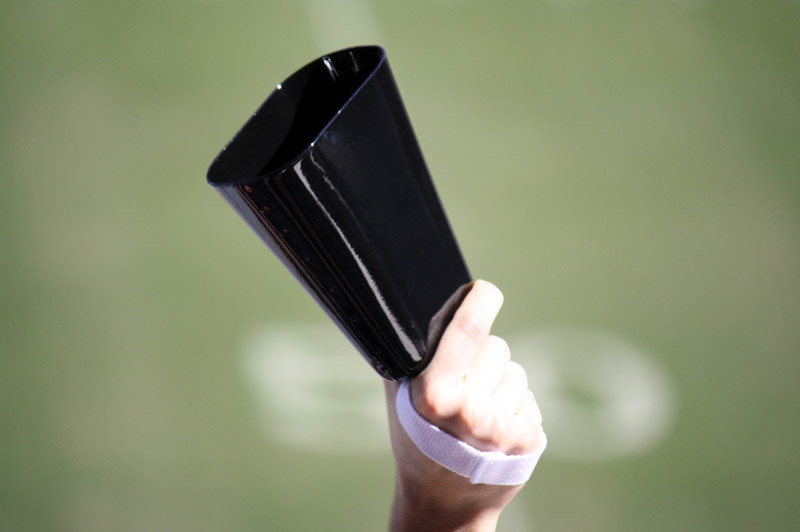 This is our biggest and baddest football bell for sporting events. 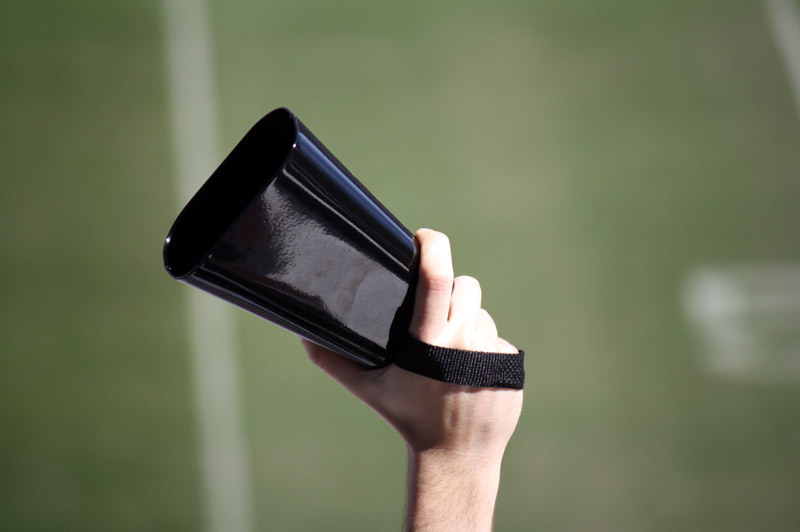 You'll have to ask nicely to bring this one into the stadium, cause it makes some noise! 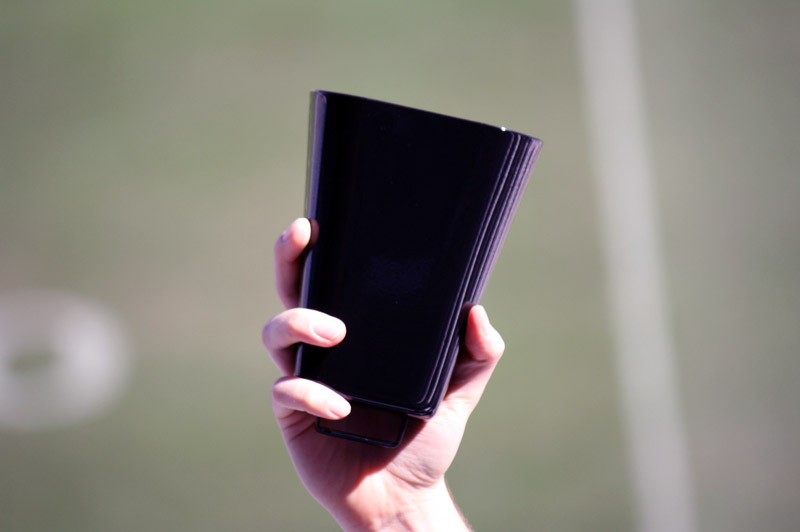 Large black football cowbells come with an optional black or white strap.